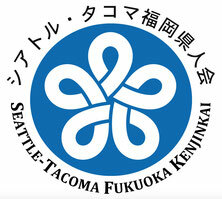 Seattle-Tacoma Fukuoka Kenjinkai has a rather long history. It was established in 1907 as a social gathering place by the Japanese immigrants from Fukuoka Prefecture. Our 75+ members and their families get together a few times a year: New Year's party, family picnics, bus tours, Mochitsuki, etc. We are always welcoming new members. It is a great place to raise our children because the kids can interact with the adults who know both Japanese and American cultures and the young parents can get great advise and help from the older members. The very first 129 immigrants from Fukuoka left for Hawaii in 1885. In the 1900s, the immigrants started to leave for North America, Canada and Mexico, Peru, and Brazil as well. After World War II, immigrants from Fukuoka migrated even further to the Amazons, Paraguay, and Bolivia. As many as 56,000 people have migrated from Fukuoka, the 4th largest group from Japan. We have 37 Fukuoka Kenjinkai (Fukuoka Prefecture Citizens Association) in the world. If you are intersted in more about the Kenjinkai, please take a look at Fukuoka International Exchange Foundation. In 1990, the idea of meeting all the Fukuoka Kenjinkai in the world was suggested during the "Tobiume National Athletic Meeting" and the very first Worldwide Fukuoka Kenjinkai Convention was held in 1992 in Los Angeles. Since then, the Worldwide Fukuoka Kenjinkai Convention is held every three years and the last convention took place in our hometown in Fukuoka in October 2013. 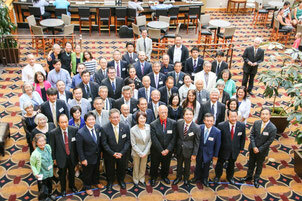 You can find the reports from the previous conventions on the Fukuoka Interntaional Exchange Foundation page.